Click Add from the top left corner of your screen and choose Timesheet. 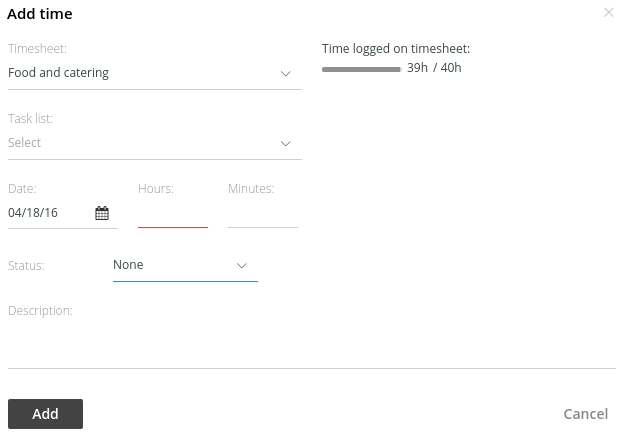 A window will pop up from where you can enter the title for your timesheet. Select the checkbox Estimated time and enter estimated hours and minutes. 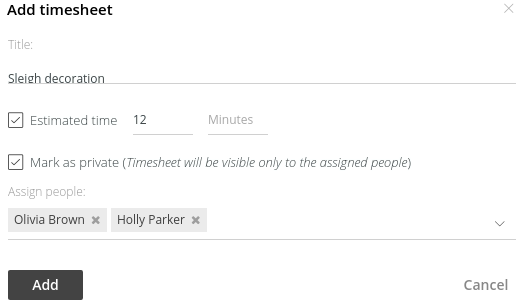 If you want to keep this timesheet as private then select the checkbox Mark as private and select people with whom you wish to share the timesheet. Hit Add and your timesheet will be added. 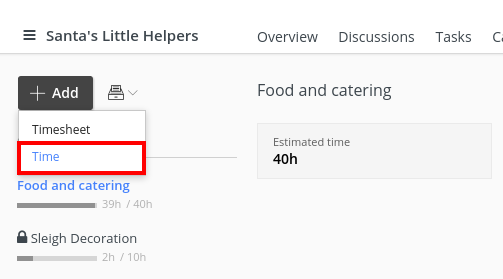 To add the time spent on your tasks, click Add from top left corner of your page. In case you wish to track time on a task then you can select any to-do list and then, task for which you want to enter the time. Select the date and enter the number of hours or minutes that you have spent on that task and mention its status as well. You can also add the description to it from the text field. Hit Add and your time entry will be saved. In case you enter 60 minutes or more, then those entries will be displayed in form of hours and minutes.